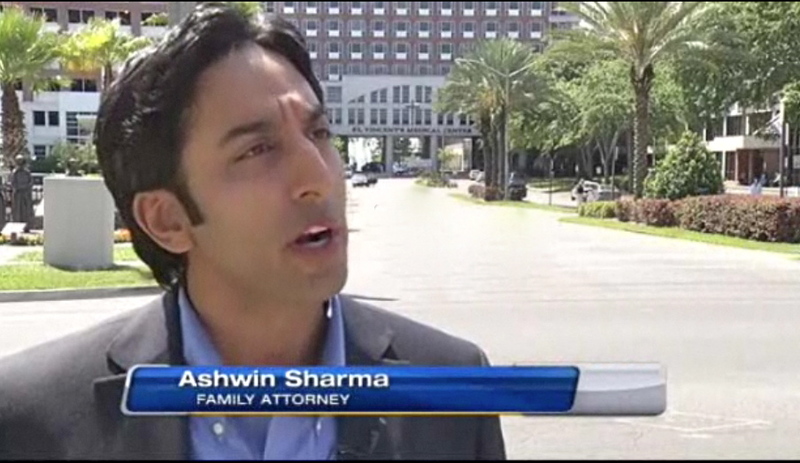 Attorney Ashwin Sharma was recently interviewed by Channel 4 News, Jacksonville in regards to his firm’s Pro Bono representation in coordinating an expedited Naturalization ceremony for Mr. Seferi. Mr. Sharma would like to thank USCIS Officers Bae, Green and Lawry for expediting Mr. Seferi’s background check and for visiting him at the hospital to administer the Oath of Allegiance, grant U.S. Citizenship. Update: Sadly, Mr. Seferi, who was recently naturalized as a U.S. Citizen, passed away this week. We send our sincere condolences to his family.